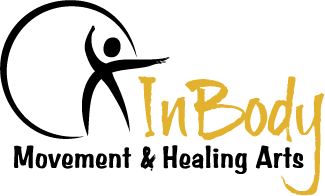 Lisa Berger, Licensed Acupuncturist, Certified Zero Balancer, and Zero Balancing Faculty Member offers Zero Balancing sessions, classes and study groups at InBody. Lisa sees clients at her private office at 194 N. Main St. in South Deerfield and offers One-to-Two ZB Clinic sessions at InBody. For more information about her healing arts and teaching practice, visit www.deerfieldhealingarts.com. ZB addresses the shock absorber systems of the skeleton with gentle pressure. Performed through clothing, it feels great and facilitates the release dysfunctional patterns. Usually twice a month on specific Thursdays or Mondays. See flyer below for details. Zero Balancing fulcrums are catalysts around which the body-mind reorganize. There are pauses in all ZB sessions. In this clinic context some pauses will be a bit longer allowing for deeper processing and integration of changes. Sessions are $35-$25 sliding scale. Working on two tables, Lisa books two clients for each time slot. The interplay of both sessions in the space and the active pauses makes for a very powerful and effective treatment. Space is limited and by appointment. New clients may participate after a private session or consultation with Lisa. Contact Lisa for questions and appointments. 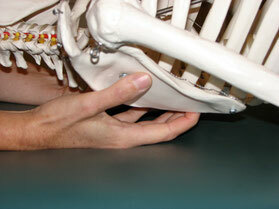 For more information about Zero Balancing go to www.zerobalancing.com. Lisa Harvey sees clients at InBody by appointment. Her sessions incorporate Zero Balancing, The Alexander Technique, Jin Shin Jyutsu, and Reiki. For more information, contact Lisa by email or phone 413-774-0662 (texts are fine).